How do you harness the energy of the ocean? Oregon State alumni Alex Hagmuller and Max Ginsburg cofounded Aquaharmonics to try and figure it out: starting with a wave energy device prototype they tested in a bathtub. Today, they're backed by millions of dollars from the U.S. Department of Energy, partnering with Sandia National Laboratories, and are on course for ocean testing with a full-size wave energy converting buoy. Subscribe Now on iTunes, Spotify , Stitcher or wherever you get your podcasts! 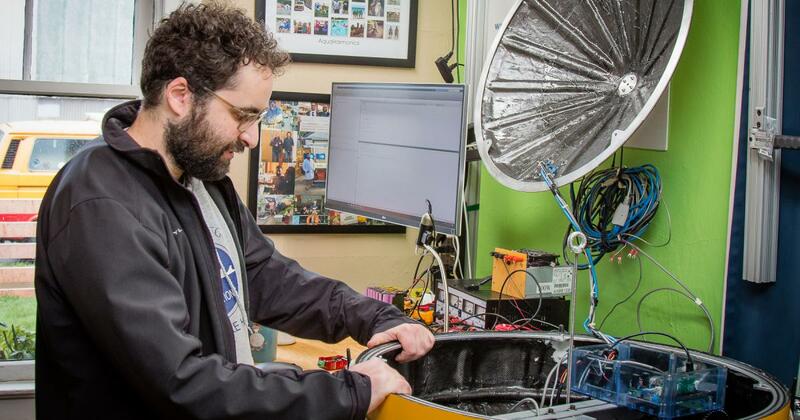 Max Ginsburg works on the Aquaharmonics wave-energy device prototype. Follow the Aquaharmonics story on Facebook. BELINDA BATTEN: I guess you could look at it as maybe marine energy is the last renewable energy frontier. I guess that's one way you might look at it, because it's one we don't hear about very much. But I think it has huge promise; I think if you just think about 50% of the world's population lives within 50 miles of a coast, then that somehow begs the question of, shouldn't we be thinking about how we might harvest that energy? 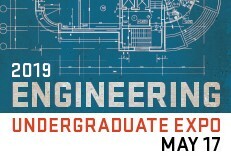 JENS ODEGAARD: That was Belinda Batten the Executive Associate Dean of the Oregon State College of Engineering. She was explaining why wave energy technology is something worth pursuing. And who am I? I’m Jens Odegaard, your host today. During her time at Oregon State Belinda has also been the former director of the Department of Energy’s Northwest National Marine Renewable Energy Center or NNMREC for short. That’s because Oregon State is one of NNMRECs three university partners. Oregon State is ideally located for marine-related research and development, because it’s just 45 miles from the Pacific Ocean and the fishing town of Newport, Oregon. We also have a whole suite of world-class marine test facilities like the O.H. Hinsdale Wave Research Laboratory. I had Belinda lead us in and told you this NNMREC backstory to set the stage for the story I want to tell you today. It’s a story about a couple of Oregon State Engineering alumni who left their real jobs to build a wave-energy converting device in their garage. They utilized the Hinsdale wave lab to dial the device in, and ended up with a prototype that’s been successful beyond anything they could have imagined. They’re now getting ready to test their device in the ocean. ODEGAARD: Let me set the scene, this interview took place in a lab, but not a lab with white coats and beakers that I imagine you’re picturing. Nope, this lab is actually an old spare bedroom in a small house in southeast Portland, Oregon. There’s a computer of course. But there’s also a workbench, holding a wave energy device that measures two-and-a-half feet in diameter and resembles a fishing bobber shaped like a spinning top. The house is owned by Alex Hagmuller and the bedroom used to belong to Max Ginsburg. 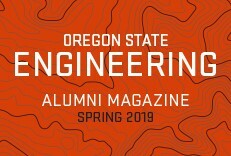 Alex and Max are both graduates of Oregon State: Alex earned his degree in mechanical engineering and Max in electrical. In addition to going to school together, they’re also long-time friends. Here’s Max and Alex explaining how they met at the start of freshman year back in the mid 2000s. MAX GINSBURG: One day I'm like walking back to the dorms, and in like this full marching band suit, complete with like glittery vests and tasselled top hat, and carrying a baritone back to the dorm room. And, I think I walked in, I'm like, "Oh, my new roommate's here!" And it was Alex, and he had this big plastic tote. He was hauling in what he had on the roof of his car, which I think was like a 1967 Volkswagen Beetle that he had driven down from Alaska. So, it was this hilarious-awkward-funny meeting of me - like, oh, I do not normally dress like this. HAGMULLER: And, I’d just add, he was also sweating profusely. From marching. ODEGAARD: A little over a decade after this first awkward, sweaty meeting with Max in his full band outfit, he and Alex are now co-founders and sole employees of wave energy company Aquaharmonics. BATTEN: So, one of the things that's fun being an educator but also in this particular role is seeing the effect that we have on students. And one of the teams that I get particularly ticked about is Alex Hagmuller and Max Ginsburg of Aquaharmonics. Alex was on the formula student team, which is a race car team that Bob Paasch, who was the NNMREC director, is the faculty advisor for. And I ran into Alex at a Christmas party, I don't know, five years ago, and he's telling me about this idea he has for a wave energy converter, and I was giving him a really hard time, telling him he was being naive and he needed to look at this, and he needed to look at that. And I followed up later and I said, I hope I wasn't too harsh but I'm just trying to help you, give you some advice to get on the right foot. ODEGAARD: This conversation happened right around the time Alex first started tinkering in his garage on a wave-energy device. ALEX HAGMULLER: And I was just playing around the garage one day, and started thinking about that, and took apart a bunch of things, and made this kind of early version thought of the wave energy converter-- filled the bathtub up and just started playing around with that and being like, well, that's interesting. And then, I think on a kind of, some vacation Max had when he was working in Hawaii I believe, at the time, and came over and I kind of just said, “Hey, what do you think about this?” And he's like, “Oh yeah that's kind of neat. It looks like some wood bolted together with some old plastic pulley.” You know, just all this silly stuff blinking an LED. ODEGAARD: Max was intrigued enough to join in the tinkering. Complimenting Alex’s hands-on approach, Max brought his expertise in instrumentation, controls, and data acquisition to the table. GINSBURG: Really, more than anything, I was at my first job out of school, and had just spent four or five years learning all these technical skills, and felt like I just wasn't really getting the chance to put anything to use. Or like, It wasn't really meeting my expectations of what I thought engineering would be like. So, for me, it was really just like this awesome opportunity to finally start to put some of this stuff that I had learned in school to use. ODEGAARD: Together Alex and Max built a series of devices, learning as they went. ODEGAARD: Alex was living in Canada and Max in Hawaii.So they made plans to take a long 4th of July weekend in 2012 to meet and test the device in the ocean at Beverly Beach, just north of Newport, Oregon. HAGMULLER: And we're like, “Oh we're going to go test the thing!” So, we threw on our wetsuits and start walking in the water. We got a whole bunch of questions like: “What is that thing? What are you guys doing? !” And we’re ah it’s uh we’re like, “It's for measuring waves!” Just like whatever whatever came to mind, at that point, just to get in the water. Got out there, Max is carrying the mooring system, and he dropped it the water, as he was almost drowning in these breakers, and I'm carrying this device on my shoulder. And we would get it all set up, and we're floating there next to it, and you see the LED blinking at the top of this thing as it's you know getting battered back and forth, and you're like, well, it's cool to see it go after we’ve been talking about this, but man, I could never imagine scaling that thing up. This is terrible. And eventually the mooring broke loose, and things started floating away, and then we were swimming amongst sea lions trying to recover it before it went out to sea. Eventually, we got it, and recovered everything that we brought out there. But, I think the end result there was like, OK, we're going back to the drawing board. ODEGAARD: Over the next two years, Alex and Max both ended up moving to Portland, Oregon for new job opportunities. Max actually moved in with Alex and his wife Rebecca, and they went back to the drawing board--working on control systems ideas, scouring wave energy research from researchers at NNMREC and elsewhere, looking at other wave energy converter designs, and really approaching the whole idea from a more theoretical side, rather than just, eh, build it and see what happens. In the summer of 2014, they settled on a concept that they felt had some real potential. But testing it in a wave tank, where you can actually gather consistent data under controlled conditions, proved to be a hurdle. HAGMULLER: I think that was kind of a roadblock at that point, hehe, because you start realizing that this device that may be promising, or at least you think it is, at that point, that costs you a few hundred dollars to develop this maybe like 1/50th scale device is going to cost you $50,000 to go test it, and get the data. And there's all that, the unknown with that, and just kind of the risk. You know, clearly, that was where things kind of stopped. ODEGAARD: Alex and Max continued testing their device on a workbench in the garage, they were using pulleys, springs, and levers as a stand in for waves, but they were stuck until early 2015 when the Department of Energy announced the Wave Energy Prize contest. The contest was open to anyone who wanted to register, and had a grand prize of $1.5 million. Because wave energy technology is still in its infancy, the prize’s goal was to get a broad range of teams and device types together, so they could evaluate the most technically and economically viable solutions. Teams would have the chance, if they made it to the later stages of the competition, to test their devices in wave pools. HAGMULLER: And, so I remember going to the very first webinars that they had, and they're just kind of gathering information from the public on you know how, how would you put together some sort of x-prize-type competition at an apples-to-apples comparison with different wave energy devices? And so we were definitely in the search for something like this, and it just happened to arrive, so, I think with anything, it's like the opportunity showed itself and we went for it, ultimately. ODEGAARD: Alex and Max entered the competition, along with 91 other teams, under the name Aquaharmonics. They were competing against a wide variety of designs. HAGMULLER: And, they're all of all different sizes and all different types. And, as I like to say, you've got your bobbers, your flappers, your weezers, your sea snakes, haha. And so that’s like your surge-type flap devices. You have your buoy-type point absorbers like ours, you have sea snakes, oscillating water column--there's all these different concepts. ODEGAARD: Alex and Max’s entry was a bobber concept they’d been working on. It’s technically called a point-absorber concept, but it’s essentially a buoy housing a power takeoff and controls, which is then tethered to the ocean floor. The projected full-scale device would be a buoy measuring about 50-60 feet across, and they entered a 1/20th scale prototype into the contest. Here’s how the design works in general. HAGMULLER: The analogy I've been using is that everyone can kind of resolve to is a tape measure--just think about the mechanics of a tape measure. Ultimately, you're going to pull the end of the tape out, fix it to the seafloor, and then you can imagine the the body of the tape measure would be like the power takeoff, and it resides in a buoy. And so, on the rise of the wave, you're going to reel out the tape measure and that's the generation cycle. So, you're winding up a spring internally but you're also generating power. And then, as the device is falling in the wave, that's actually when you're consuming power in the motor, and also a spring is assisting to reel it back up. That's in a nutshell, in the simplest form, you can think of it that way. ODEGAARD: Thanks to a sophisticated control system residing in the buoy, the design proves very effective at converting energy in a variety of wave conditions as the buoy bobs up and down. to something that is similar or very close to what the incoming waves set is. ODEGAARD: For instance, if the device’s natural frequency is two or three seconds, and the frequency of the peaks in an incoming wave set is closer to 15 seconds, the control system shifts the harmonic frequency of the device to more closely match the frequency of the waves. HAGMULLER: So, the control system is trying to shift that harmonic frequency into something that is close to what the wave climate is, and that's going to maximize power output. ODEGAARD: It’s this harmony with the ocean that gives the team their name. Aquaharmonics device proved so effective that they advanced to the finals, which secured them funding for wave pool testing at the O.H. Hinsdale Wave Research Lab here at Oregon State. GINSBURG: So we had funding to go to Oregon State and test it, and that's, those two weeks there really kind of opened up the door for us to do all the learning and experimentation that I think we always kind of wanted to do, but could never figure out how, in our earlier tests with the wave the waves and the real ocean. You have no measurements on those waves, so now, we go to the wave tank and there's sensors everywhere. There is a controlled wave maker paddle at the end of the tank. We know precisely how much power is in the tank. We have all these calibrated sensors on our device, measuring torques and positions and velocities, and so we know exactly how much power we're getting out of the device. And, we had the opportunity to sit there and start tweaking some of the coefficients - turning knobs, so to speak although, they were actually just digital values, not actually knobs. That that was kind of where we dialed in the performance for our device. Aquaharmonics design did more than double the original standard. In fact, they quintupled it on the way to winning the grand prize. Belinda Batten, who you heard critiquing Alex’s initial experiments earlier in the show, recalls the announcement. BATTEN: So then, a couple of years ago, U.S. Department of Energy put out the wave energy prize, trying to cultivate new technologies and encourage the developers who maybe hadn't been on the big scene yet. And uh, wouldn't you know, Alex and Max went in with their wave energy converter, and they won the prize! Haha, so, I don't know if I had a hand in sending them on the right stage, or not haha but, it's awfully exciting to see the success of our alums, and really hoping at some point that we influence them on their path. ODEGAARD: After the big win, Alex and Max moved forward with their design. In 2017, they secured an additional $5 million from the Department of Energy to take their 1/20th scale prototype and scaleit up to a 1/7th scale prototype that they can test in the ocean ocean. They’re currently partnering with Sandia National Laboratory and a host of engineering firms and consultants to scale their device up. They’re also planning another round of testing at the O.H. Hinsdale Wave Research Lab here at Oregon State. If all goes well, they’ll eventually build the larger prototype and test it in the open ocean off the coast of Hawaii at a test site run by the Hawaii National Marine Renewable Energy Center. Alex and Max eventually hope to build a full-scale device, a 50-60 foot buoy, that they can take toward commercialization. If that does become a reality, their testing might come full circle back to the waves near Newport, Oregon. With a $35 million award from the U.S. Department of Energy, NNMREC, which I mentioned at the top of the show is in the final stages of designing and constructing a new grid connected test site just south of Newport. At this test site you’ll be able to test full-scale wave energy devices. Batten: The test facility is 2 square nautical miles. It's one mile from east to west, and two miles from north to south. And then that's configured into four berths. This facility is being planned to be sort of the last stop in the commercialization pipeline. So, based on the surveys that we've done with potential testing clients, we know that they would like to take out multiples and see how a small array behaves. So, they might have three or five of the same kind of wave energy converter in one birth to test the array effects. ODEGAARD: With completion of the test site expected in the next three years or so, it should be up and running for Alex and Max when they reach the final testing stages of taking their design from a bath tub toy to a full-scale, commercially viable wave energy converter. This episode was produced and hosted by me, Jens Odegaard. Audio editing was by Brian Blythe. Our intro music is “The Ether Bunny” by Eyes Closed Audio. You can find them on SoundCloud and we used their song with permission of a Creative Commons attribution license. Other music and effects in this episode were also used with appropriate licenses, and you can find those links on our website. 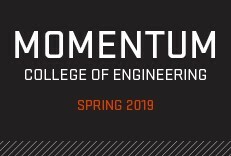 For more episodes, including Season 4, Episode 4: Partners in Extreme Wave Modeling--another NNMREC story--visit our website engineeringoutloud.oregonstate.edu, or you can always subscribe by searching “Engineering Out Loud” on your favorite podcast app.